A syrupy sun! We don't get those normally around here. Very feathery cloud formations, which is also not the usual around here. The flowering trees were too gorgeous to ignore! 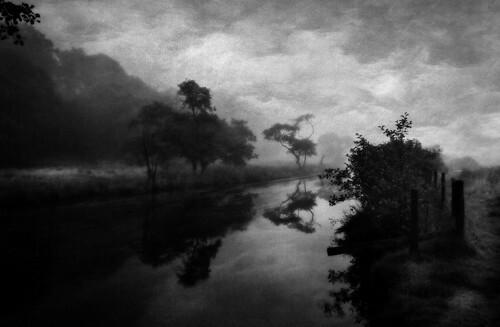 From Jem Salmon comes Up River. Like the mist like quality of this. 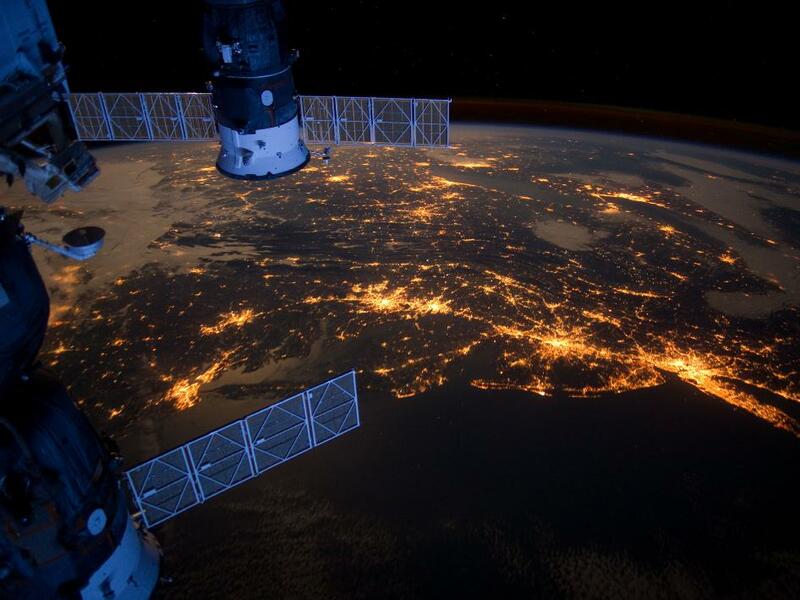 From NASA - Eastern Seaboard At Night from ISS.